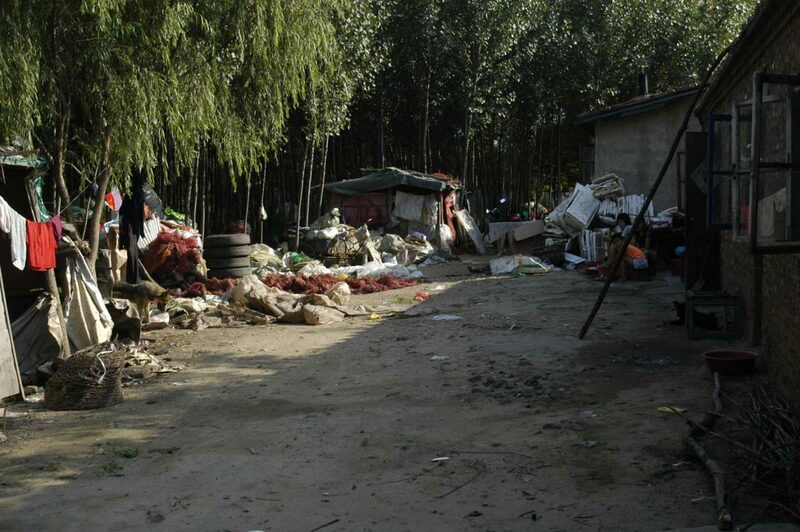 Location: Qinhuangdao City, Hebei Province, China. 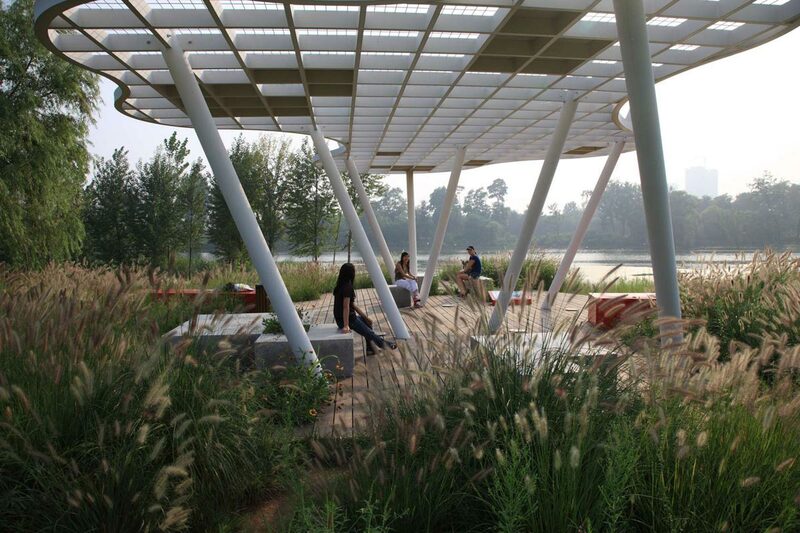 Client: The Landscape Bureau, Qinghuangdao City, Hebei Province, China. 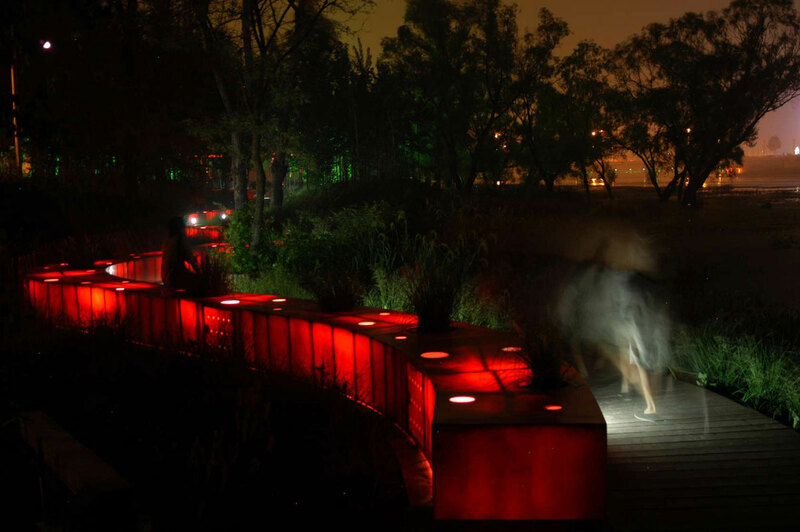 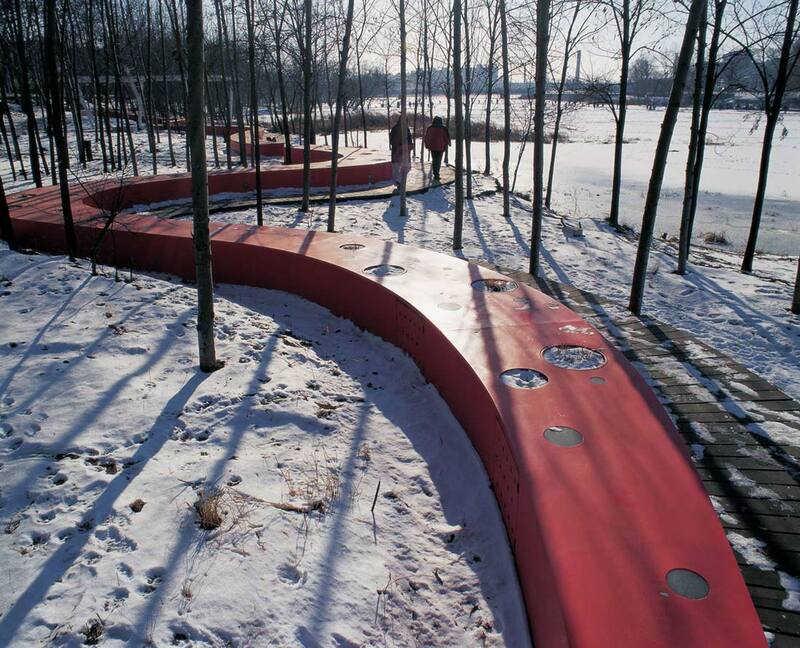 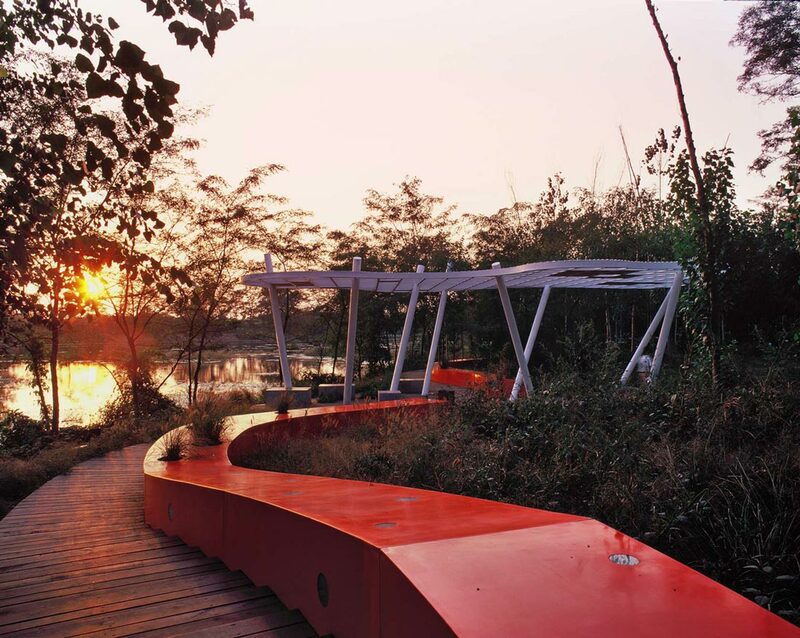 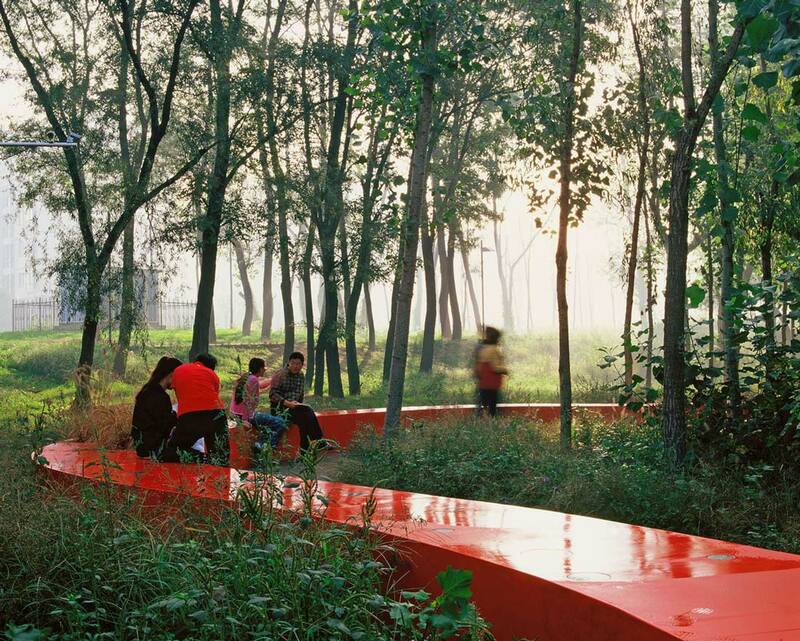 Against a background of natural terrain and vegetation, a “red ribbon” spans five hundred meters, which integrates the functions of lighting, seating, environmental interpretation, and orientation. 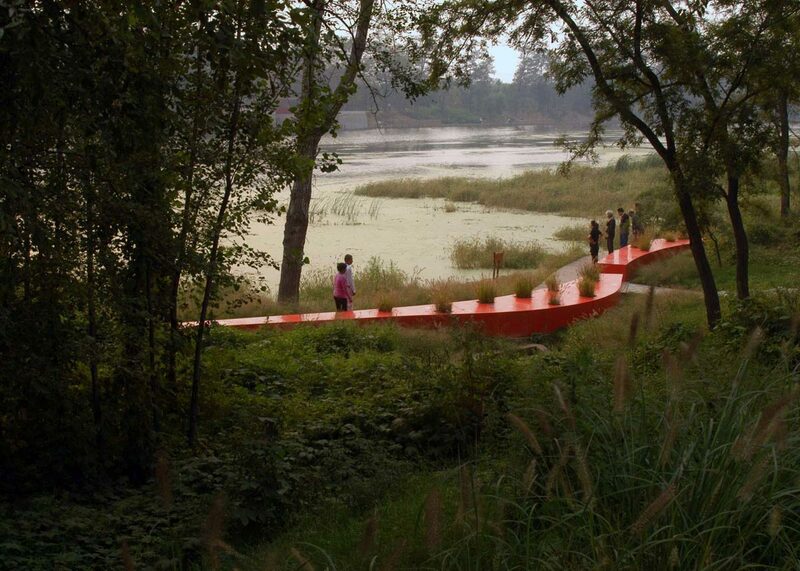 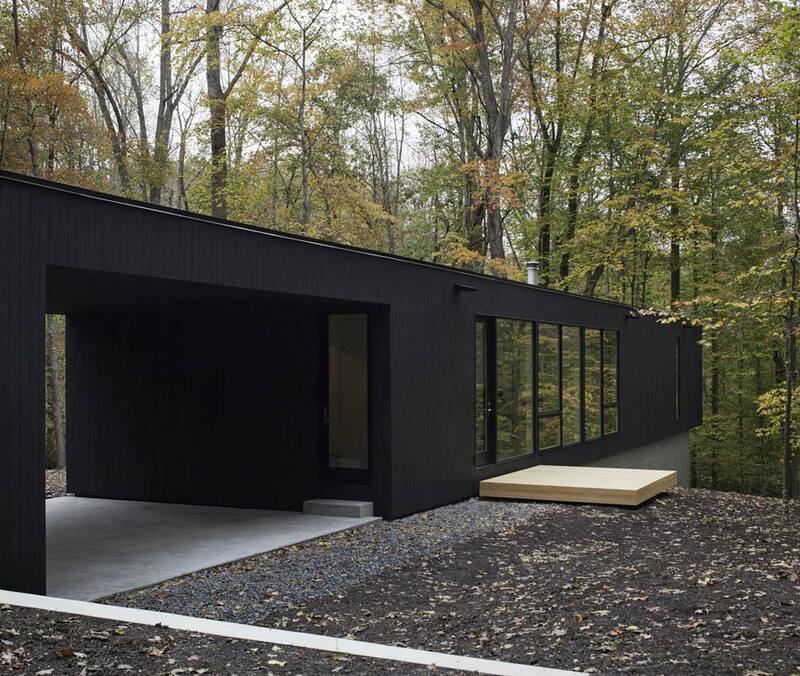 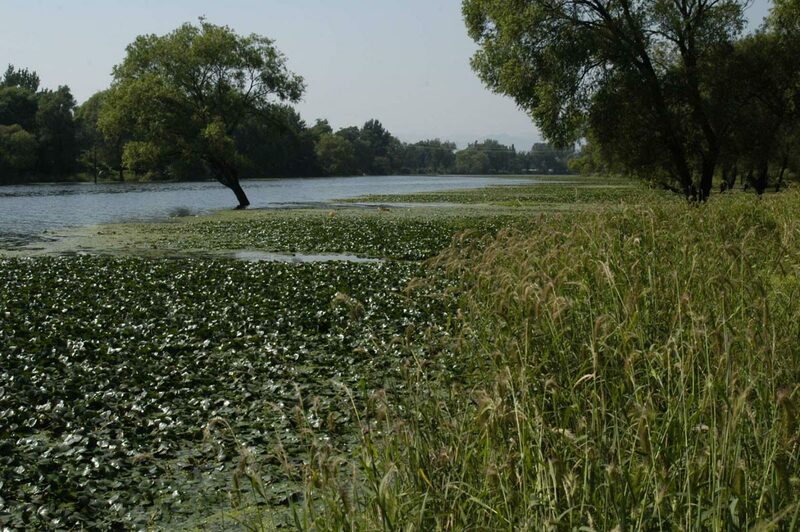 While preserving as much of the natural river corridor as possible during the process of urbanization, this project demonstrates how a minimal design solution can achieve a dramatic improvement to the landscape. 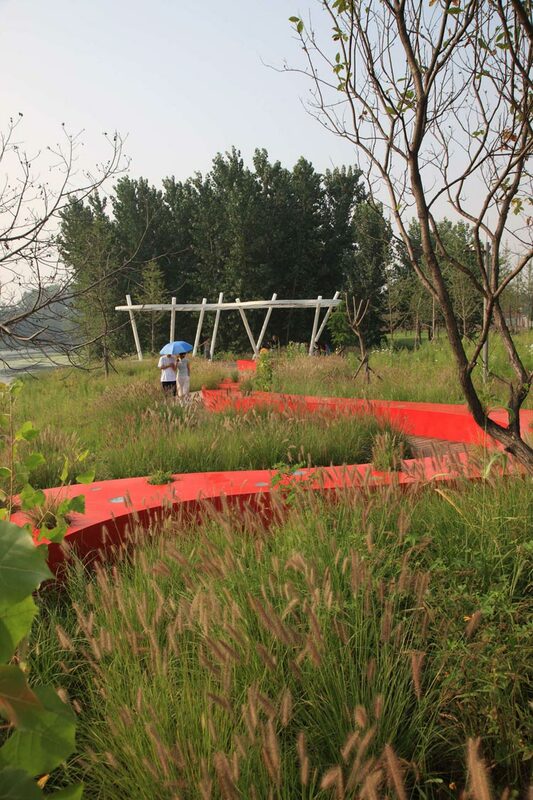 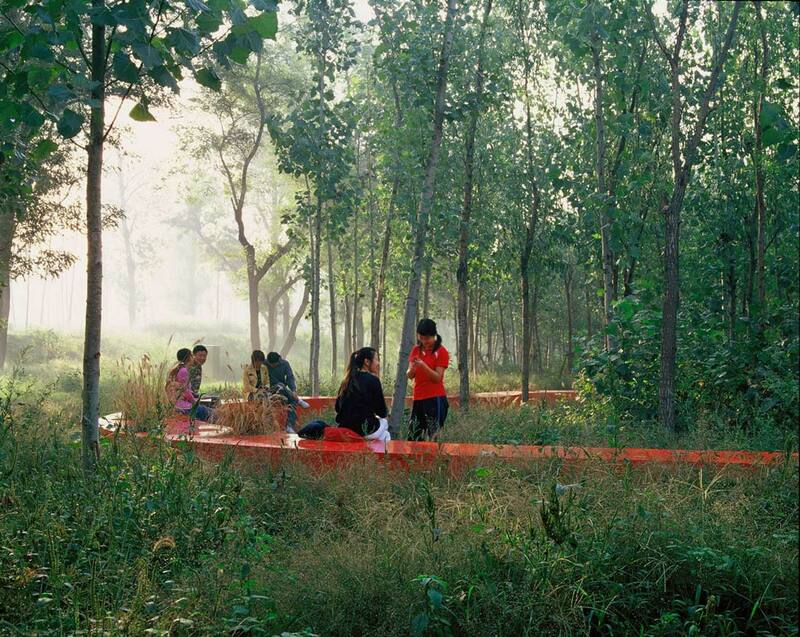 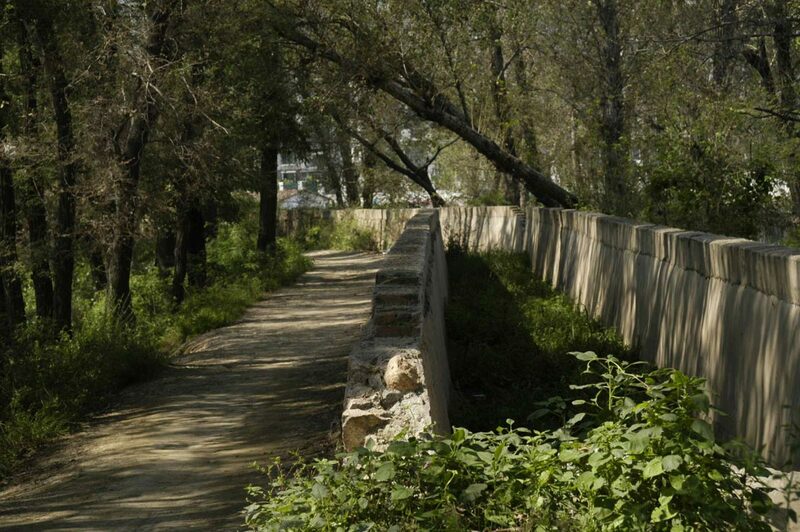 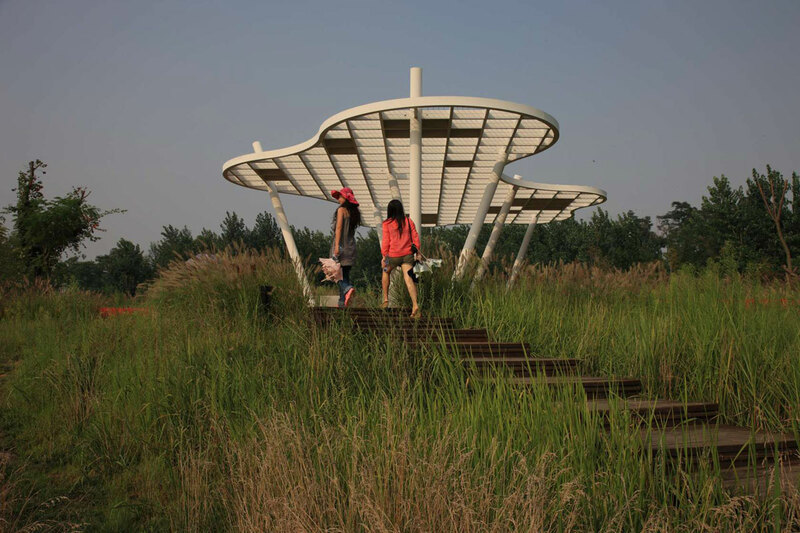 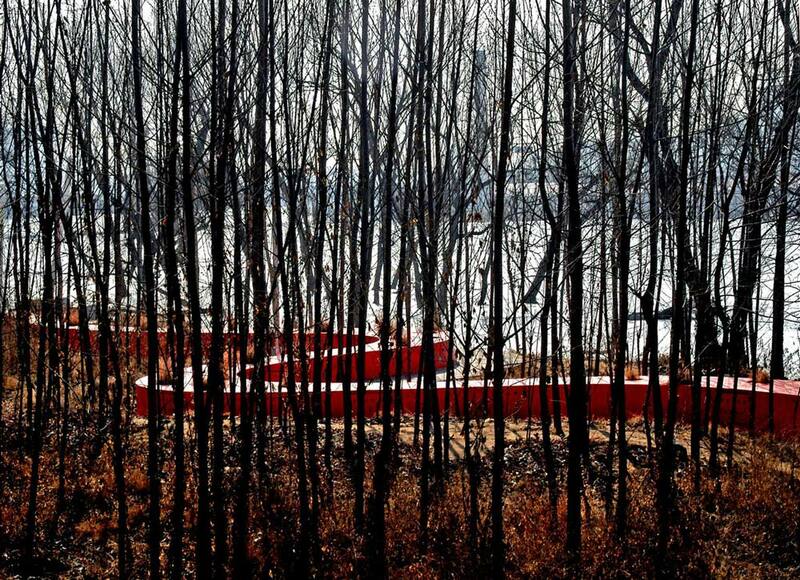 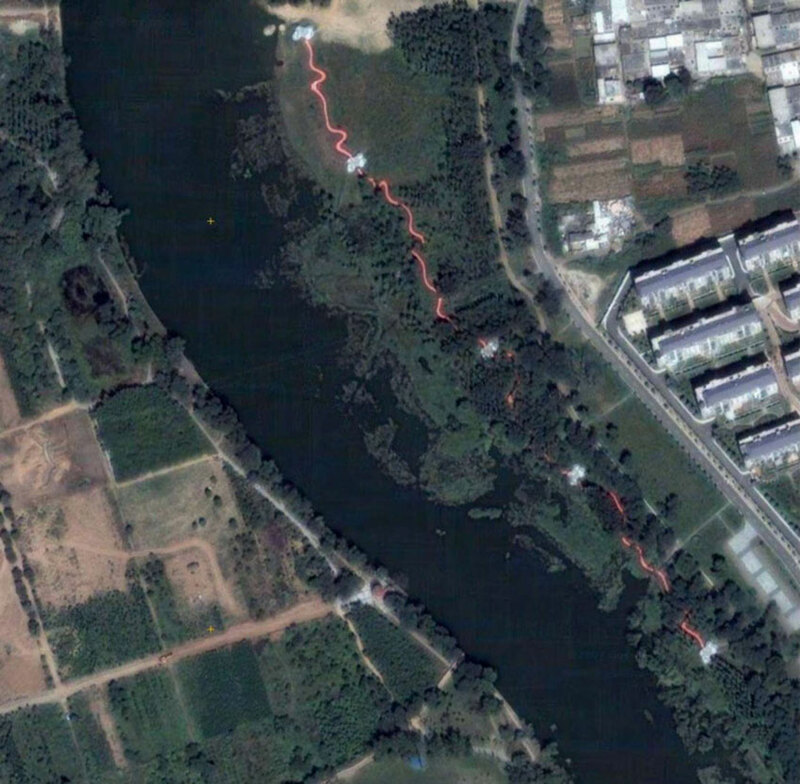 The Qinhuangdao Red Ribbon Park used to be a neglected community garbage dump.